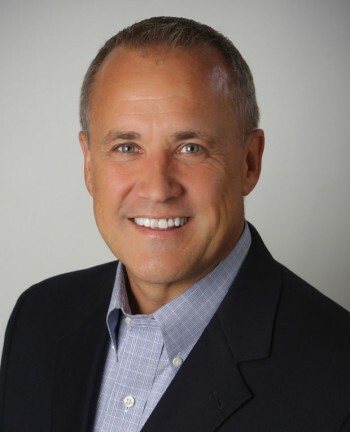 Jim Nussle was named president and CEO of the Credit Union National Association in September 2014. Nussle, is a former eight-term congressman and director of the White House Office of Management and Budget (OMB). CUNA is the largest and most influential national financial services trade association advocating for America’s credit unions. There are nearly 6,700 credit unions nationwide, with over 100 million members and almost $1.1 trillion in assets. Nussle has long admired the grass roots advocacy strength of the credit union movement. In Congress, he witnessed firsthand the enthusiastic advocacy the leaders and members of the nation’s nearly 7,000 credit unions have. Nussle served in the U.S. House of Representatives from 1991-2007 as a Republican representative from the State of Iowa. From 2001-2006, he served as chairman of the House Budget Committee, a key panel that oversees the federal budget process, including review of all bills and resolutions on the budget. In addition he was a member of the House leadership and served on the Banking and Ways and Means Committees. In 2007, President Bush tapped him as the 36th director of OMB, the largest office within the Executive Office of the President of the United States. As OMB director, he was a member of the president’s cabinet. Nussle also served on the founding board of Growth Energy, a trade association of renewable energy companies and industry partners. He was recruited by his fellow board members in 2010 to help lead the organization as its President and COO. During his tenure, Growth Energy nearly doubled its revenue, increased membership by 18% to become the largest renewable energy association, and successfully navigated several regulatory and legislative challenges. In his early career, Nussle served his community for four years as a first responder and firefighter with the Manchester Volunteer Fire Department. He also spent four years as the Delaware County Attorney, the chief prosecutor and civil attorney for the jurisdiction and established his own law practice. Nussle also serves as a director on the boards of Thrivent Mutual Funds, PRA Group Inc., and as a special advisor on the advisory board of AVISTA Capital Partners. In addition, he volunteers his time with The National Down Syndrome Society and as President of Epiphany Lutheran Church Congregational Council, where you can often find him “sitting in” playing guitar in the praise band for Sunday services. A native Iowan, Nussle received a degree in political science from Luther College in Decorah, Iowa, and his law degree from Drake University in Des Moines. Nussle and his wife, Karen live in Virginia, and have two adult children.